Which is your favourite tiara? Royal Gossip > Royal Families > Royalty in General > Royal Jewellery > Which is your favourite tiara? Re: Which is your favourite tiara? 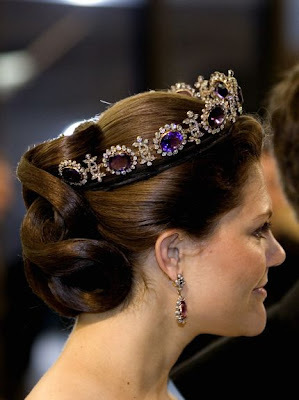 I think that instead of the poltimore and fleur de lis as big diamond tiaras I would choose this one http://madhattery.royalroundup.com/2012/01/danish-ruby-jubilee-gala-banquet-hrh-crown-princess-pavlos-of-greece/ it's splendid!! Omg what a huge piece! You know Luxembourg has a huge glittery one as well, it's so tall it's nearly a crown! Her sapphire wedding tiara is lovely as well, but it's a bit too small for my taste These other two, are just right. 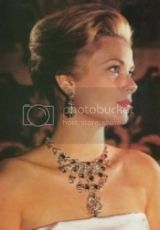 The French jewels, especially the tiaras are stunning. I love the cameo tiara and grand duchess tiara! ^It's been years but I had the privilege of seeing the French jewelry. Holy cow! Magnificent work. Kind of jealous! I would love to see the French jewels in person! It belongs ... now to the Grosvenor ? ?? The Gloucester tiara is so pretty! I love the British tiaras. This was a hard exercise, so many beautiful tiaras to choose from. 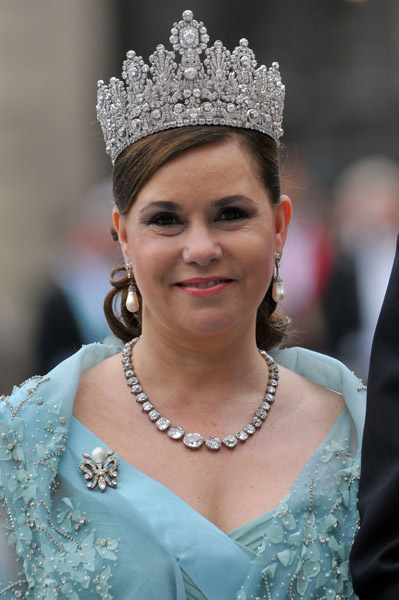 I love the Fleur de Lis from Spain and the Bragança Tiara (now in posession of the Swedish royal family), they are magnificent. The Girls of Great Britain and Ireland tiara is absoultely wonderful! I like the danish tiaras.